The New York Giants lost a bidding war for All-Pro guard Andrew Norwell early on Tuesday to the Jacksonville Jaguars. An unlikely suitor has stole the show… Thanks Tom Coughlin! The Jags will be dishing out $66.5 million over five-years, with $30 million fully guaranteed. With no state-income tax in Florida, the Giants were far off from locking down the prized guard. And in the end, it might have been for the best. Allocating that much money to a guard would have been obscene, especially with only $20 million in cap-space to work with. 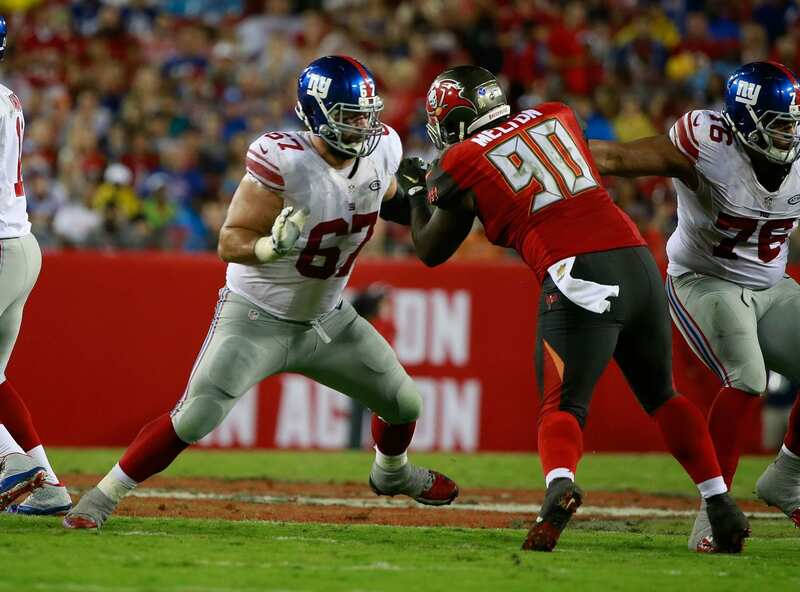 On the second-tier market, the Giants could always re-sign Justin Pugh, who is versatile and would likely garner around $10 million per-season. That’s three-million less than Norwell would have earned. Additionally, they can re-sign right-guard D.J. Fluker for somewhere in the $4-5 million range. That’s two quality lineman for nearly the price of one ‘great’ one. Another scenario would be to sign left-tackle Nate solder from the Patriots for around $10 million and Fluker as well. The Giants still have their choice of offensive lineman on the market, but the loss of Norwell will surely be felt. His choosing of a playoff-ready team was likely the deciding factor in his destination. I wouldn’t rule out a potential Josh Sitton signing for the Giants either. At 32 years-old, the Bears guard has been one of the best in the league for the past decade. Guards can play into their mid-30’s, so I would certainly be willing to take a flier on him for $7-8 million per-year. This would buy us enough time to address the position in the draft and/or develop a younger player.